A well-designed quiz can benefit you and your organization by giving you a quick way to evaluate the learner’s progress as well as assess the effectiveness of your training. And well-designed quizzes can also benefit learners by giving them a gauge of their own performance while helping them to feel supported and motivated to apply what they’re learning on the job. 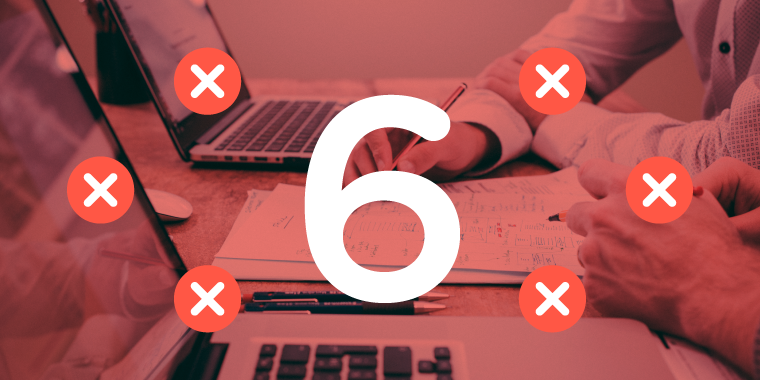 Unfortunately, there are a few common quiz design mistakes that can really undermine these benefits and lead to confusion, frustration, and a loss of self-confidence for your learners. Let’s take a closer look at some of these common quiz mistakes—and ways you can avoid them. A lot of people use their e-learning authoring tools to create linear click-and-read courses. The primary purpose of these courses is to share information, not change behavior. In these cases, a quiz may be unnecessary. Most e-learning authoring tools offer the option to track course completion by the number of slides viewed, which means you don’t really need to end a course with a quiz in order to determine that it’s been completed. In fact, you can save yourself a lot of effort and time by restricting quizzes for use with more meaningful, performance-oriented content rather than simply testing a person’s ability to recall trivial details. I was helping my son complete an online school fire safety quiz recently when we encountered a great example of “Duh” distractors. Q. You’re in the classroom when you hear the school’s fire alarm. What should you do? Hide under your desk, holding your breath and waiting for the fire department to come to your rescue. Run out of the classroom, screaming “FIRE!” and trampling over other students. Follow your teacher’s instructions, lining up in a calm, orderly fashion. Proceed quickly to the safety zone and await further instructions. I don’t know about you, but I’m gonna go with C... Heck, even my eleven-year-old (who is NOT known for exercising good judgment) knew that the other two answer options were just plain ridiculous. And what’s worse, using such obvious distractors was pointless since they didn’t succeed in measuring anyone's understanding of the material. Getting real-life scenarios and answer options from your learners or Subject Matter Experts (SMEs) to keep your questions and answers as realistic as possible. Providing enough detail for learners to be able to differentiate between the answer options. Always make sure there is an unambiguously correct answer (or answers). Streamlining answer options to just a few viable choices, making sure that you keep all of them at roughly the same length. There’s nothing more obvious than the longest answer option always being the correct one! Sometimes managers or SMEs are really keen on including trick questions on quizzes. Their rationale is that these types of “gotcha!” questions are helpful for determining which learners really paid attention and understood all the nuances of the material. But the truth is that using trick questions only puts learners on the defensive. Trick questions erode their trust and self-confidence. No one likes to feel they’ve been duped or set up to fail. Remember, the goal of a quiz should be to assess a learner’s understanding of the content you’re covering. Well written questions, answers, and feedback supports learners in overcoming missteps by pointing out where they went wrong and how they can improve in the future. Making sure your quiz questions align to your course’s learning objectives. Many e-learning pros swear by writing their quiz questions first, before writing any other course content. That way they start with the end performance goals in mind. Quizzing learners on only the content you’re actually covering in the course. Don’t try to slip in new material on the sly! Explaining to both managers and SMEs when, how, and why you’ll use quiz questions. For instance, you can emphasize that you’ll test the learner's understanding of complex or nuanced processes—a sales process, for instance—by using case studies or scenarios that can more closely simulate a real-life situation. This approach is more performance focused than simply quizzing learners on their ability to recall the correct order of steps, for example. For more discussion tips along these lines, check out this recent article: 3 Ways to Embrace Constructive Failure in Your E-Learning. When you’re writing quiz questions, one of the easiest traps to fall into is including too much detail. Not only are wordy quiz questions overwhelming to learners, they can lead to confusion about what you’re really asking them to do. Instead, keep questions clear and concise—one or two sentences, max. Try to use common terminology and relatable language. Similarly, keep the wording of the answer options short and sweet so folks don’t have to wade through too much fine detail when weighing their choices. For some great pointers on how to write quiz questions and response options, don't miss this article: 20+ Tips for Writing Great Quiz Questions and Response Options. Last year my family and I relocated to southern California, and I had to take my driver’s test for the first time in many years. One of the first things I noticed about the online test prep courses is that quite a few of them included questions with five or six answer options, many with combined choices like “both B and C” or “neither A nor D.” Holy moly, was that ever a brain-bender! Avoid this mistake by limiting the number of answer options to three or four. In some cases, you may even be better off with a simple true/false or yes/no approach when it comes to assessing straightforward decision-making. The user interface design of your quiz may seem obvious to you, but it may not be to your learners. The bottom line is that people can get frustrated easily when quiz instructions or navigation cues aren’t absolutely crystal clear—and even more so when there’s a grade riding on their performance. Quizzes can be stressful for learners, so take pains to provide clear instructions and intuitive navigation so they know exactly what they need to do to answer the questions. For instance, add a little navigation prompt to help clarify when on-screen objects should be dragged or sorted into a specific order. You can see an example of how this approach works here. What are some of the quizzing challenges you’re facing? Share your story in a comment below or ask fellow e-learning pros in our Building Better Courses forum to weigh in with their thoughts. Remember, you can always sign up for a fully functional, free trial of Articulate software. And for even more e-learning tips, examples, and downloads, follow us on Twitter. This is very helpful thanks! Regarding #2 - adding common misconceptions about the topic as distractors is also key (i.e. ask the local fire department what are the top 3 things people think about fire drills that are incorrect, and add the top one or two as options). Trina, Great article, thanks for the tips. I often follow the practice of creating the quiz first, then building content that addresses the quiz items. I tell my SME's, give me a list of the 10 most important points you want the learners to come away with, or what things they need to be able to do after taking the course. From that I build a quiz, then ask the SME's to give me content that answers those questions. I agree Edward. I use a similar approach when initially developing our courses. This helps to keep SMEs focused on the goals of the course, rather than the "fun stuff." Plus it helps to ensure we only quiz on content that we've actually covered. Great article, thanks! I would add one more though...And that's to avoid asking questions in negative format....I.e 'which of the following arent correct'. It ought to be a no-brainer really, but I see this alot in e-learning quizzes and I always have to do a gear change and start concentrating on the syntax of the question and not the content! Great article and very relevant. A couple of challenges I routinely experience are the 'negative' questions that @Pete Grimley mentioned above. I think those types of questions detract from what the learner should be focused on - now they're focused on what's NOT true or what ISN'T part of the procedure. The second big challenge are to get questions that actually have the learner applying what it is they've just read instead of regurgitating back memorized information. The battle is real! Fighting it one question at a time. :) Thanks for sharing. I look at quizzing not as a way to evaluate learner progress, but as an opportunity to reinforce the material. It's one last chance to correct misinterpretation, or to reinforce memorization. It also gives you the opportunity to build in a redirect to the information, so a learner can revisit it again.